In 2000 we reached the milestone of Certification of Quality Management System according to the international ISO 9001:2008 standard. 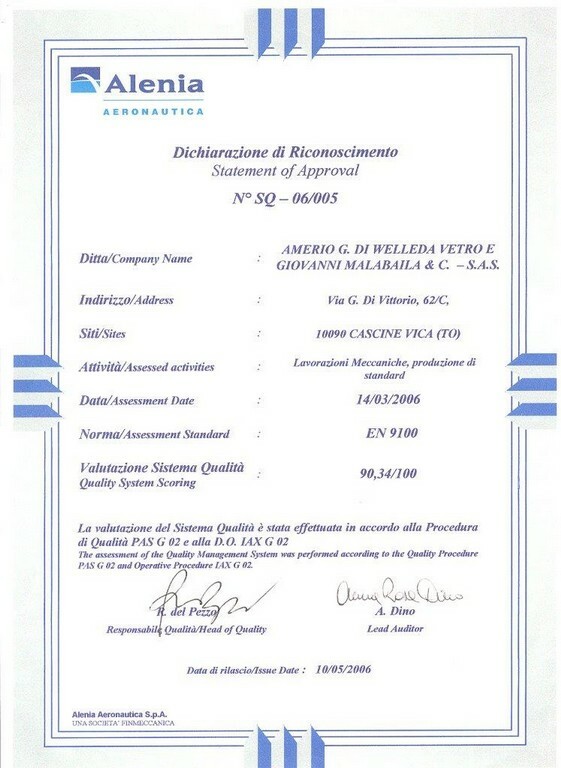 Certification was issued by ICIM, and as a member of the CISQ, adheres to the international circuit IQNET. Federation CISQ accede to international IQNet that has the goal of mutual recognition of certification of enterprise management systems issued by certification bodies of the major industrialized countries. . The goal of certification is to develop, implement and improve the efficiency of the management system for quality in order to increase the satisfaction of all our customers. constant and continuous quality improvement of the product and of the quality system. decisive for the quality system is the selection of our suppliers and then the continuous control over the quality of raw materials and components.